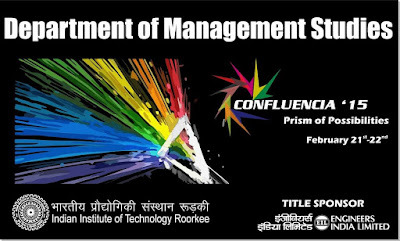 Students at DoMS IIT Roorkee always keep their noses to the grindstone, especially when they are bringing forth the Annual Management Summit, CONFLUENCIA’15. The theme of CONFLUENCIA’15 was ‘Prism of Possibilities’. 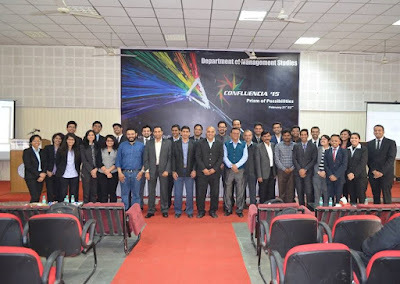 Widely known and esteemed personalities from the industry graced the occasion with their presence and shared their insights with the students in order to prepare them for the times to come. The two-day lavishly staged event began with the lighting of lamp by the guest speakers. The knowledge sharing session started off with first speaker as Mr. Virag Jain, Regional Business Head of Reliance Capital, who addressed the audience on 'Make in India and its Financial implications on Indian Economy'. It was followed by a highly knowledgeable session on 'Logistics & Supply Chain Management' by Mr. Baldeep Singh, GM (Operations), Walmart. 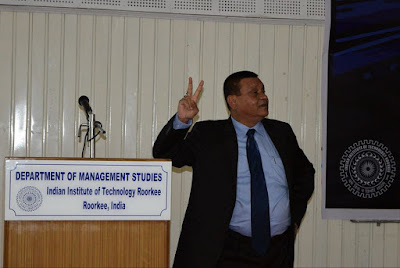 Thereafter, VP (Operations) at Bajaj Motors Ltd, Mr. Suben Rana delivered an interactive session on 'General Management'. Post lunch, Mr. Atul Tripathi, Senior Manager at Absolutdata shared his insights on 'Usage of IOP & Logistics in E-Commerce'. 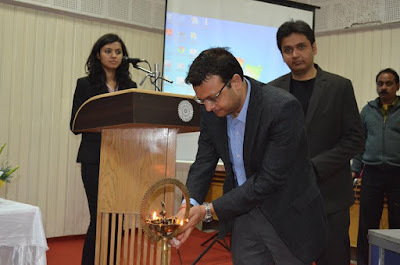 Mr. Sanjay Srivastava, Director - Analytics, American Express addressed the audience on the topic ‘Marketing Analytics & CRM’. It was an extremely informative session. 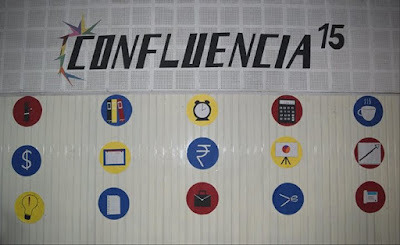 Day 1 of CONFLUENCIA'15 came to an end with an interesting session by Mr. Mukesh Jain, VP, Head - Big Data Analyitcs, Reliance JIO Communication on 'Business Intelligence & Big Data Analytics', which saw active participation from audience. 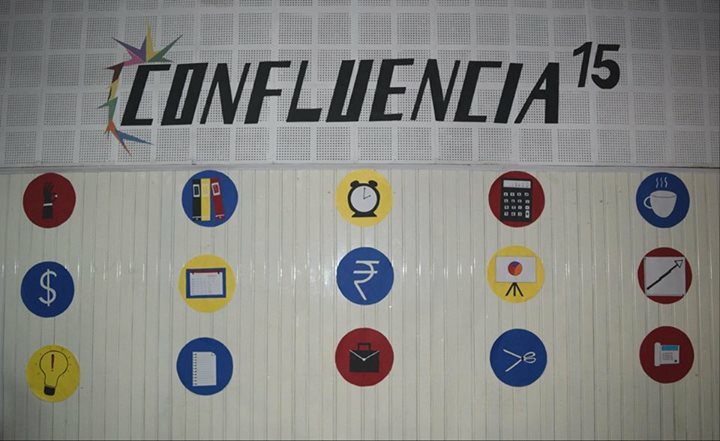 Day two of CONFLUENCIA'15 kicked-off with a session by Mr. Gagan Arora, Co Founder, printvenue.com. He gave his valuable insights on the topic 'Entrepreneurship Challenges & Opportunities in India'. Mr. Sridhar Bollam, VP - Analytics, Capillary Technologies, spoke on the topic 'Business Analytics integration with Technology' in a highly informative manner. 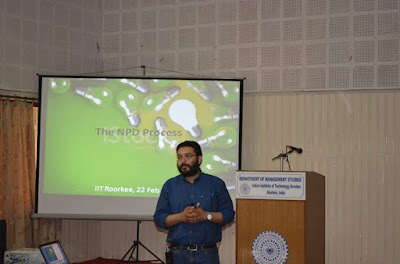 Finally, Mr. Shivinder Singh, Senior Product Manager, Dabur India Ltd, shared his knowledge and experience on 'Marketing Insights of Product Planning'. 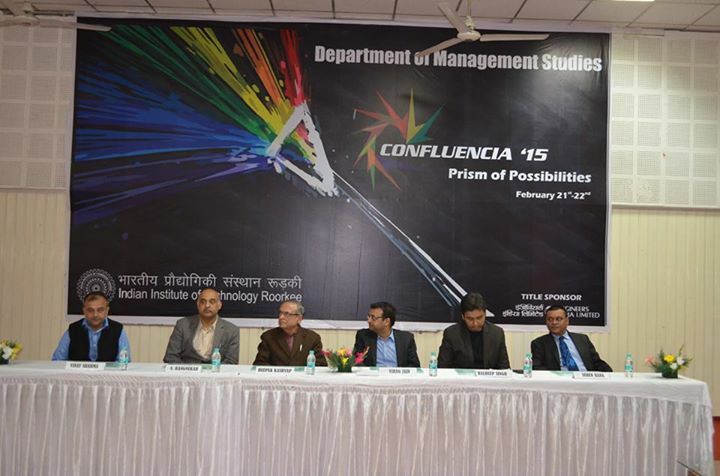 Without any doubt, CONFLUENCIA'15, the Annual Management Summit of DoMS IIT Roorkee, rolled up as a Grand Success. Two days of interesting Knowledge sharing sessions could not be concluded without thanking our title sponsor for the event - Engineers India Limited. Speakers were really impressed with the enthusiasm of students of DoMS IIT Roorkee. They congratulated the department on organizing the event successfully and appreciated the efforts put forth to bridge the gap between industry and academia. 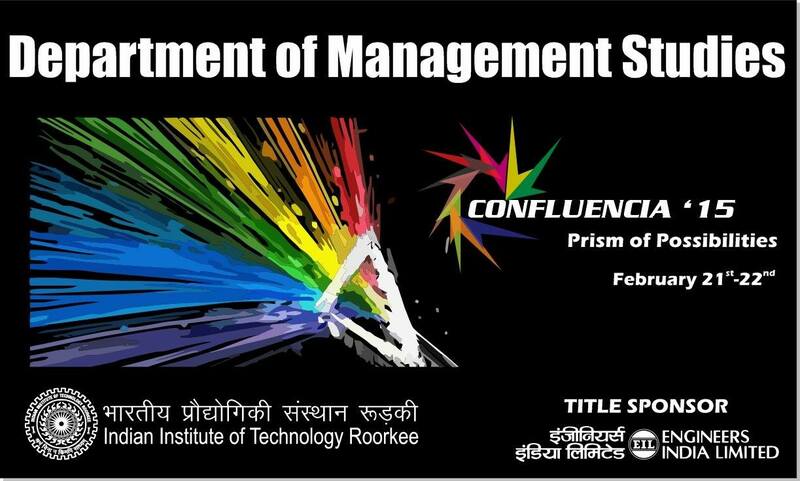 CONFLUENCIA - The trademark of DoMS IIT Roorkee came back to Life with the great efforts of the batch of 2016 and we pledge to keep the tradition going in the years to come.